At least 31 Canadians have asked for a doctor-assisted death. However, the number could be higher, as at least two provinces aren't sharing numbers. At least 31 Canadians have reached out to their doctor asking for help to die since mid-January. But the number may actually be significantly higher, as two of Canada's largest provinces aren't ready to share data on the issue yet. CBC News reached out to the health and justice departments of all 13 provinces and territories asking for the total number of Canadians who have requested a physician-assisted death since June 7 at 12:01 a.m. — when the deadline to pass an assisted-dying law expired. At that point, the Supreme Court's original ruling became the law, which means doctors can't be prosecuted if they help a patient suffering from a "grievous and irremediable" illness to die. Ontario is the only province that included numbers from applications dating back to Jan. 15, 2016, when the Supreme Court ruled individuals could ask a judge for a doctor-assisted death, while Ottawa fine-tuned its legislation. Procedures and regulations vary from province to province because the federal government still has not passed a law governing the practice. Tracking methods also vary greatly between regions. Ottawa was supposed to have doctor-assisted dying legislation in place by June 6. But the Liberals missed the deadline after delays in the House of Commons. The legislation is currently before the Senate. Ontario appears to have the highest number of requests to date. "The Ministry of the Attorney General of Ontario is aware of 14 applications.… allowing the applicants to receive physician-assisted dying," spokesman Brendan Crawley said in an email. "The court granted the applications in 12 cases, one case was withdrawn by the applicant, and one case is still pending before the court." But provincial officials could have difficulty tracking requests. "As of June 6, 2016, individuals who meet the criteria … are no longer required to apply to the Ontario Superior Court of Justice for judicial authorization to access medical assistance in dying," Crawley said. Alberta has received at least nine requests since the June 6 deadline passed. Don Stewart, a spokesman for Alberta Health Services, says no deaths have been administered yet as a result of those requests. Nova Scotia is currently considering four applications for doctor-assisted dying. Saskatchewan has received two requests, so far, and both have been approved. A spokesperson for the province says one patient died before assistance could be granted. The second patient has not acted on the approval yet. Manitoba has received one request, but a spokesperson would not comment further, citing privacy concerns. In Newfoundland and Labrador, one request has also been received. Luke Joyce, a spokesman for the Justice Department, says "that request has not yet been granted." Officials in Prince Edward Island, New Brunswick, Nunavut, Yukon, and the Northwest Territories all say they have not had any requests for a doctor-assisted death. Provincial health officials in British Columbia say they do not have information to share at this time, on the number of applications or doctor assisted deaths. Although a spokesperson originally said B.C. 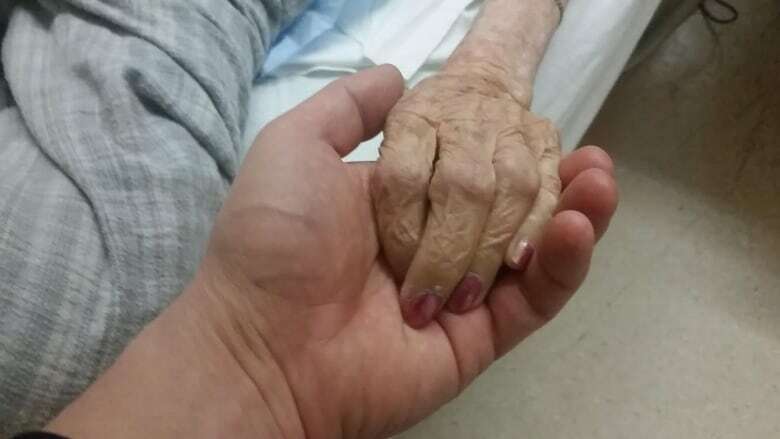 was not tracking the data, as the province was waiting for federal legislation on the issue, another official later contacted CBC News to clarify that cases are being tracked since the ban against medically assisted dying expired on June 6 in the absence of a new law. The official explained that doctors in B.C. are required to share the information with the province's College of Physicians and Surgeons and that information will eventually be shared with the province. Until then, the spokesperson said there will be a "lag" in reporting the data. In Quebec, where medically assisted dying has been legal since December 2015, officials say they do not know the number of patients who have requested the option. In an email, a spokesperson explained that medical institutions are compiling data on requests and deaths, and that information will submitted to an independent commission on end-of-life care. The commission will outline the numbers in a report to be presented to the government in late September.